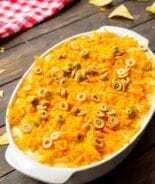 Crock Pot Cauliflower Broccoli Casserole Recipe ~ The Perfect Side Dish Recipe in your Slow Cooker! 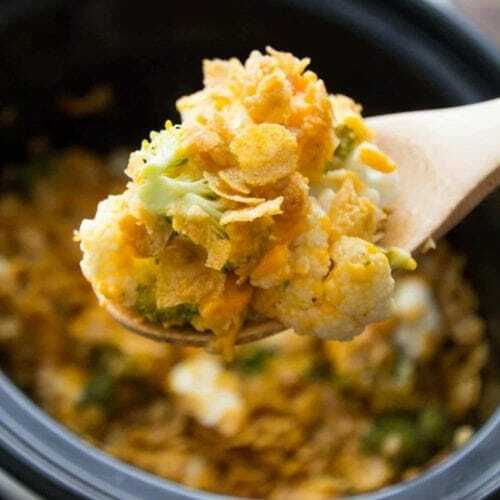 Broccoli and Cauliflower Smothered in Cheese and Topped with Corn Flakes! The dreaded moment you are planning your holiday meal and you have it all planned out to a T and then you realize you don’t have enough oven space for all of your fabulous dishes! It’s amazing how fast that precious oven space fills up when you are planning a large meal. I have a trick to save you from this disaster though! 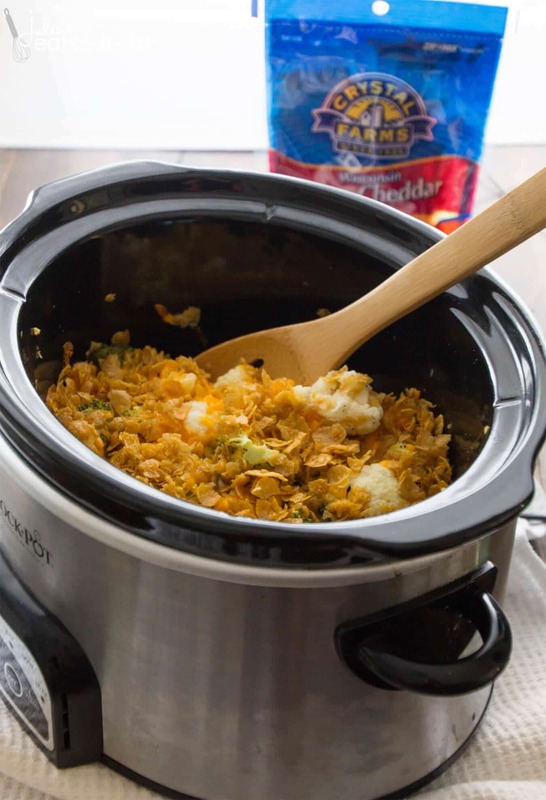 That trick is using your Crock Pot for your side dishes! I do this all the time and it saves me so many headaches. 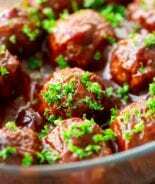 Planning a holiday meal or really any time you are entertaining is labor intensive and a bit stressful. My friend Danielle hosted Thanksgiving at her house and she sent me a snapshot of her color coded spreadsheet detailing exactly what time she needed to do each step of her meal. Now that is major planning! I, on the other hand, am more of a wing it and pray girl! When you host a meal do you make it all yourself or gladly except the help of those coming? I was always raised you brought a dish when invited somewhere for the holiday, but I guess that’s not always so normal. I’m more than happy to pitch in when going somewhere because I would rather do that then have to clean my house and plan that holiday. Although, don’t worry, I do that when it’s my turn! A side dish is an easy dish to bring somewhere especially when prepared in the slow cooker. I love that it cooks while I’m getting myself, the hubs and the girls ready for the holidays then I just grab it and go! Plus, can you really go wrong with anything with cheese in it? I think not! My husband is quite known for looking at my dishes and then adding more cheese. What can I say, we love cheese! Like I said before, we love our cheese! One of the brands we have come to trust is Crystal Farms Cheese. I trust them because they have been committed to providing the highest quality product to consumers since 1926. I love that they are located just a stone throw away from me in Lake Mills, Wisconsin where they have been devoted to delivering consistent quality and great tasting products. 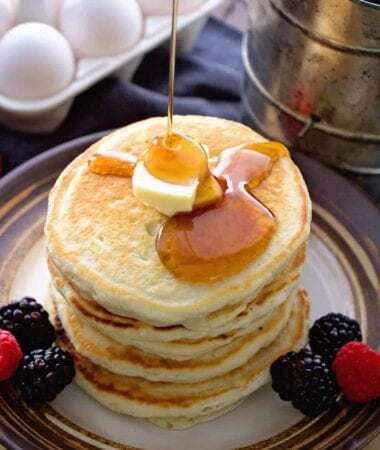 Crystal Farms products are known for being a natural products with few preservatives, a rich source of calcium, gluten-free and lactose tolerant. Next time you are making your favorite dish make sure to grab Crystal Farms Cheese in your dairy section to top it off with! Make sure to connect with Crystal Farm Cheese on social media! Grease a 4 quart crock pot. 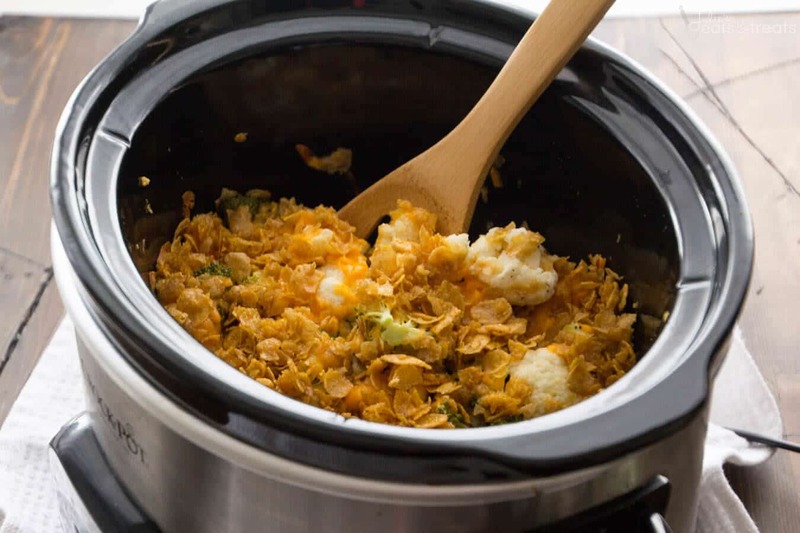 In a large bowl mix together all ingredients, but only half of the cheese except butter and corn flakes. Place ingredients in crock pot. Top with remaining cheese. In a small bowl combine melted butter and corn flakes. Sprinkle over the casserole in the crock pot. Cook on high for 1 hour or low for 2 hours. More Crock Pot Side Dishes! 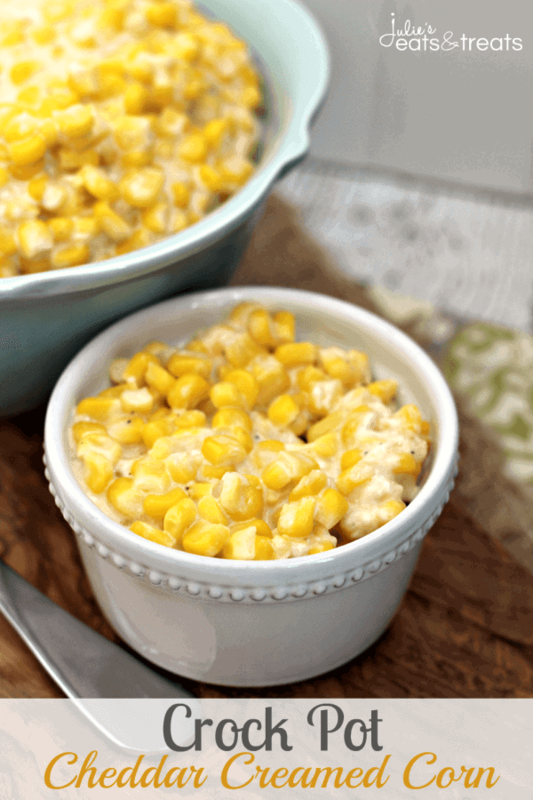 Crock Pot Cheddar Creamed Corn ~ The perfect easy side dish for your main dish! 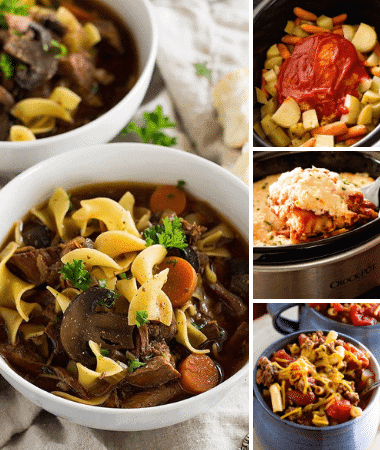 Throw it in the Crock Pot and forget it! 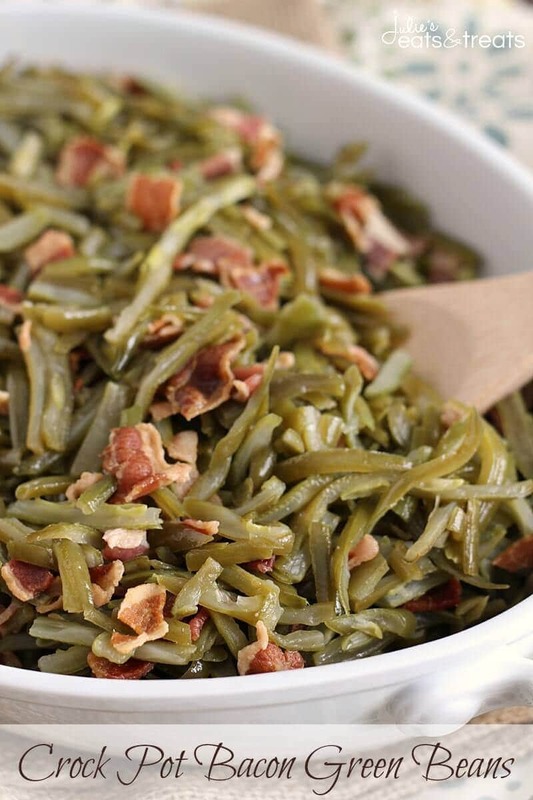 Crock Pot Bacon Green Beans ~ Quick and Easy Slow Cooked Side Dish Perfect for the Holidays! 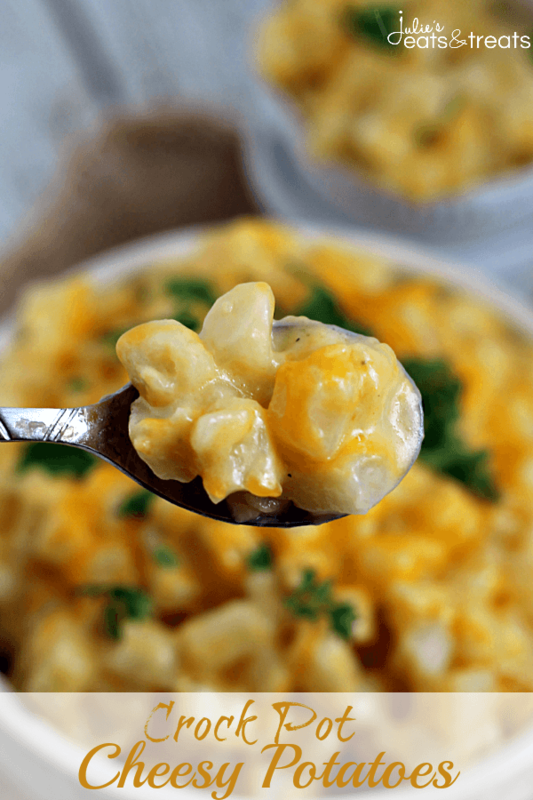 Crock Pot Cheesy Potatoes ~ Easy Creamy, Dreamy, Cheesy Potatoes! 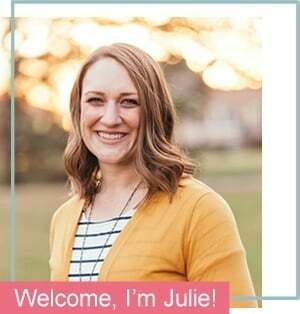 This is a sponsored conversation written by me on behalf of Crystal Farms. The opinions and text are all mine. 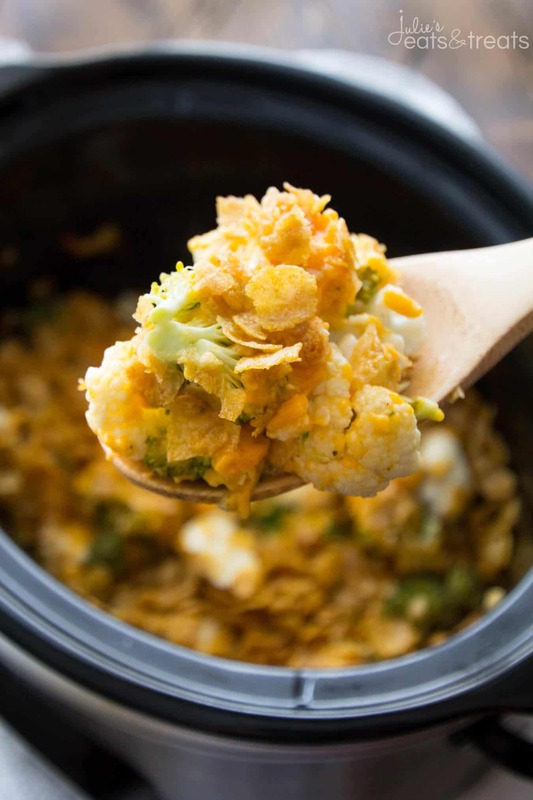 Broccoli and cauliflower are some of my favorite foods, so add in cheese and a slow cooker and you have perfection! 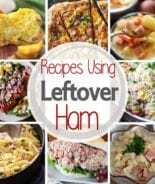 Easy side dishes to pass are a must this time of year! 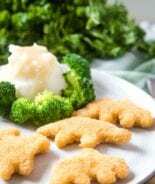 Cheese and vegetables are always a winner with kids too. Sounds amazing! Glad you enjoyed it LeighAnn! 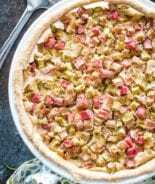 Is it okay to use frozen cauliflower and broccoli? Nope just as it states! The veggies were crisp tender. The kids like them tender. Tried cooking longer.. Then they were tough. I think I will do this in the oven, if I make again.